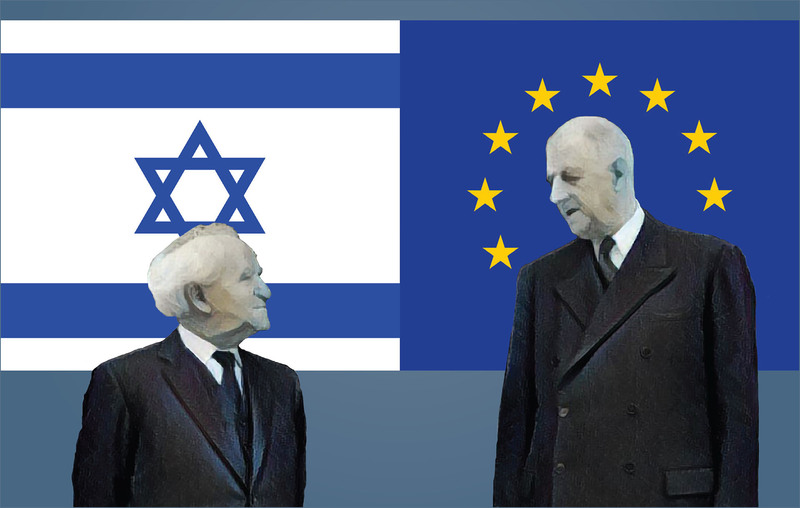 Israeli-European relations are much more diverse and developed than what usually meets the eye. The first impression people get is that there is a lot of tension in these relations because of the deep disagreements on the two most critical issues regarding Israel and European’s policies in the Middle East, namely the Palestinian issue and Iran. Though Israel and Europe share common ground on both issues (both are committed to prevent Iran from attaining a nuclear weapon and both agree that Israel has a right to exist in peace and security as the nation-state of the Jewish people), the disagreements on how to achieve these goals are so deep and blatant that they overshadow any commonalities and dwarf any other aspects of the relations between the two. Air forces participating in “Blue Flag” exercises in November 2017 at the Ovda base in southern Israel included Italy, Germany, France, and Greece, as well as Poland, India, and the United States. In fact, Israeli-European cooperation covers a wide variety of areas and is very impressive and important for both sides. Intelligence cooperation: Israel and Europe have a very wide and open network of intelligence cooperation, including on the Iranian issue – a cooperation that reached new peaks during the nuclear deal negotiations. The Europeans were among the countries that received the trove of nuclear documents that Israel retrieved from Tehran to review. Defense and security: Israel and European nations cooperate on a wide variety of issues. They share military experience, buy and sell military hardware, and conduct joint exercises between their sea, air, and ground forces. In the volatile Middle East today, where U.S., French, and Israeli forces are operating, coordination in the operations command and intelligence is essential. Counterterrorism is another aspect of security cooperation. Israel and Europe exchange information, intelligence, and techniques between their armed forces and their internal security forces. This cooperation contributes considerably to the security of both sides and especially to the security of Europe. A book called Lessons from Israel’s Response to Terrorism, prepared by the Jerusalem Center for Public Affairs, raised interest in the European community, and this, of course, was in addition to the official cooperation. Cyber-security: Israel’s leading role in the development of cyber-security incentivizes cooperation and trade in this domain. Cooperation in fighting crime is well-developed and is going to grow in the future. The Israeli Police and the Europol signed in July 2018 a working arrangement to improve cooperation in contending with cross-border criminal activities, fraud, and cybercrime. Trade: The European Union was the biggest trade partner of Israel in 2017, with $15 billion worth of Israeli exports of goods to the European Union, which is 20 percent more than the volume of Israeli exports to Europe in 2016. Exports to the United States in 2017 reached $11.4 billion. The biggest partner in 2017 in Europe was the United Kingdom, with $4.8 billion dollars in goods exported from Israel. Since 1995, Israel has signed four free trade agreements with the European Union that enabled this continuous rise in the volume of trade. The last agreement excludes from tariff exemptions the products produced in territories occupied by Israel since 1967. Culture: The width of cooperation in this realm is very impressive, with performers and artists from both sides exchanging visits and enjoying very warm acceptance. Israeli success in the Eurovision song contest and in European sports competitions is just another manifestation of that. Why Are Things so Bad if They Are so Good? Why do relations appear so sour? It appears that the causes of this are rooted in frustrated hopes and expectations. Israel looks at itself as part of the European cultural and political structure, and this is why it attributes so much importance to what the Europeans are saying. From the realpolitik point of view, you would expect Israelis to be at least as sensitive to the attitudes of China and Russia, who are major players in the economic and political realms. Yet no Israeli will complain about the policies of these two major powers or feel bad that these two countries do not support Israeli policies. Israeli expectations from Europe stem from the fact that Europe comes from the same sphere of the “Western world” with its democratic and humanitarian values. Israelis feel trapped in an unending unreciprocated relationship with Europe, and this frustration doubles when they see Europe siding with repressive and terror-supporting regimes such as Iran or the Palestinian Authority. Despite extensive cooperation, instead of warmth, Israel feels estranged and is on the constant receiving end of rebukes and criticism. When Israelis compare this kind of relations with the warmth and transparency of its relations with the United States, the leader of the Western world, it is no wonder Israelis feel left out in the cold. Israelis attribute negative motivations to the Europeans, such as appeasement, naiveté, and giving preference to economic considerations over security needs (definitely when it comes to Israel), and sometimes even anti-Semitism. Many Israelis believe that the Europeans are trying to demonize Israel in order to alleviate their own conscience following the Holocaust. What Can Be Done about the Estrangement? Some people say there is nothing that can be done about it – and it’s a lost case. Others – myself included – believe that the common threats will eventually make the Europeans adopt a different approach and the security community, together with pro-Israeli groups, will gain strength and form an opportunity for improved relations. At the end of the day, we share not only the same interests but also the same values, and Europe’s contribution to the establishment and security of the nation state of the Jewish people should not be underestimated. The SNIFFPHONE project, coordinated by the Technion-Israel Institute of Technology will link the researcher’s breathalyzer screening technology to the smartphone to provide non-invasive, fast and cheap disease recognition.